Acer expects lower upcoming sales in Ultrabooks, already? Recently, Taiwanese company Acer Inc. said that it not expecting much sales of Ultrabooks this year as Intel Corp.’s is holding back the new chipsets and due to some macroeconomic uncertainties. Previously, Acer’s corporate vice president Scott Lin expected that the total shipments for this year to be 12 to 20 percent, but now they are forecasting that Ultrabooks will account for 12 to 15 percent only. At a recent launch of the Acer Aspire S5 Ultrabook series in Taiwan, Lin said that this revised forecast is due to delay in notebook shipments of the Ivy Bridge processors for about a month. He also cleared that Intel Core i5 and i7 processors have shifted its date from May to June 3 and Intel Core i3 is expected to be available in August. Lin also outlined that Ultrabook will have a share of 25 to 30 percent of Acer’s total notebook in the coming year. And it is largely due to the launch of new touch enabled Windows 8 operating system which will rise from 6 percent in the second quarter of this year. As Acer President Jim Wong said that the Ultrabooks shipments were just over 200,000 units in the first three months but they are planning increase in the second quarter from the first quarter. They are depending on the new four new models that will be launched during this period. Due to the introduction of low priced notebooks, U.S. chipmaker Intel has also predicted that Ultrabooks will account for 30 to 40 percent of global shipments in this year. In 2012 the worldwide mobile and PC shipments are figured out to reach 226.5 million units and to whooping 368.7 million units in 2015. 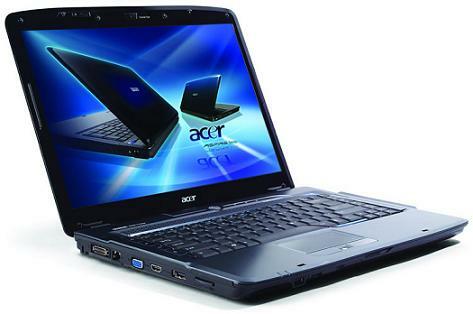 It will see a growth from 8.2 percent to 17.3 percent, as reported by market advisory firm Gartner Inc.
> Notebook / Laptop Reviews and News > News > News Archive > Newsarchive 2012 06 > Acer expects lower upcoming sales in Ultrabooks, already?